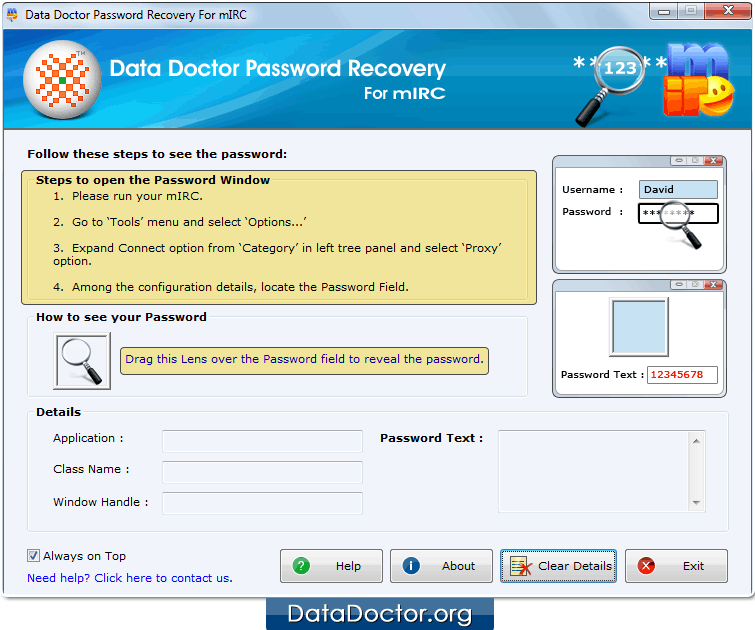 Password Recovery For mIRC restore lost or misplaced password from mIRC chat software. 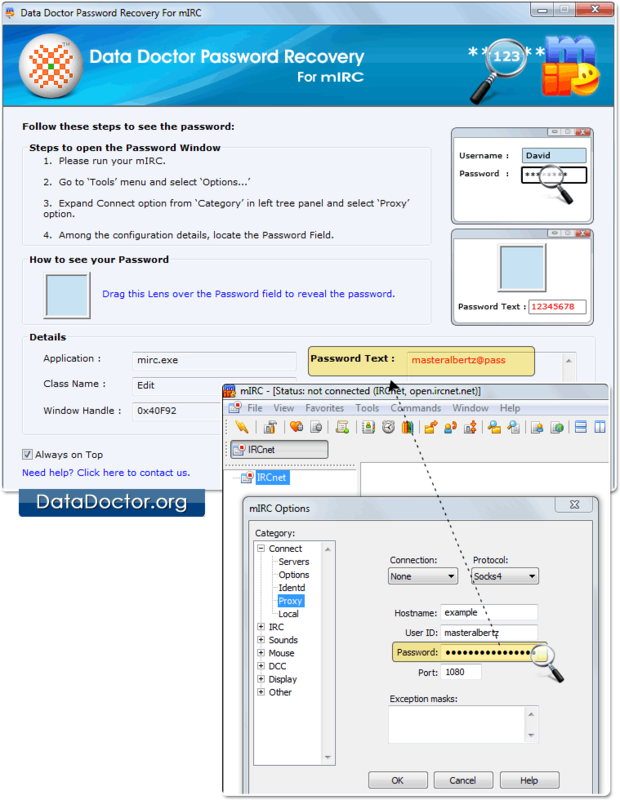 mIRC password recovery software reveals password that are stored behind asterisk (****) characters. Software supports Windows 10, Windows 8, Windows 7, Windows XP, Windows Vista and other operating systems. Firstly Install and Run Password Recovery Software For mIRC. Open mIRC and Go to the ‘Tools’ Menu to select ‘Options’. 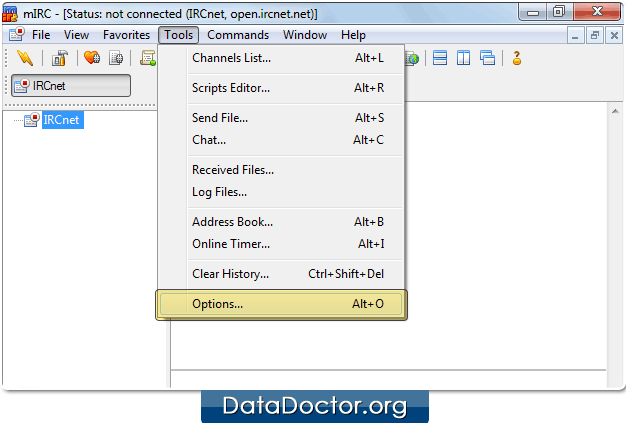 In left tree panel, Expand 'Connect' option from category and select 'Proxy' option. Among configuration details, locate password field by dragging lens over it. In Password text field, you will see recovered password.